Brace yourself for the summer of the Amazon Warrior. With Wonder Woman shaping up to be the strongest film yet in the DC Extended Universe franchise, top fashion and consumer brands have been stampeding toward marketing tie-ins with the film, which focuses on the backstory of the legendary 75-year-old character. Starring Gal Godot, the Israeli model who first donned the W tiara in 2015’s Batman vs. Superman: Dawn of Justice, the Warner Bros. movie is generating plenty of early buzz. And with its June 2 release, it’s poised to become not just a summer hit, but a feminist fashion merchandising machine. Warner Bros. Consumer Products says tie-ins include athleisure wear from Nuyu, and Under Armour’s high-performance wear for Wonder Woman wannabes. Nanette Lepore Brand, Alex and Ani and A Classic Time Watch Co. are cranking out jewelry inspired by the character’s trademark silver gauntlets and gold headdress. Then there’s the five-piece set from Benefit Cosmetics, and accessories from designer Betsey Johnson. The most highbrow event is likely to be a charity auction scheduled for June 7 in Paris. Proceeds from the bash are to go to the LemLem Foundation, which aims to improve African women's lives with better access to healthcare and economic opportunities, with Wonder Woman-inspired ready-to-wear pieces from such designers as Louis Vuitton, Versace, Karl Lagerfeld, Stella McCartney, Tommy Hilfiger and Tory Burch. 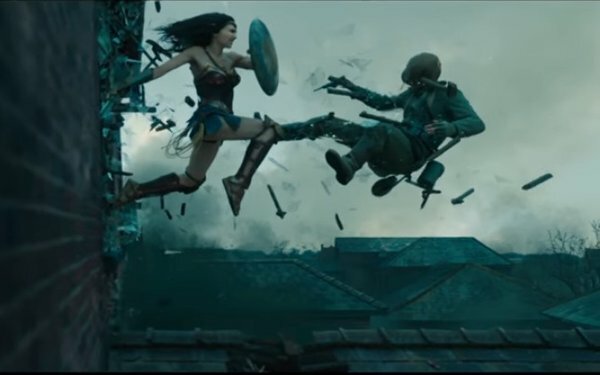 The film -- which also stars Chris Pine, Robin Wright and Danny Huston -- is set in World War I, and follows the super-heroine’s path from an Amazon princess, Diana of the Themyscira, to her transformation to Wonder Woman. Warner has already had plenty of success selling heroic women. Earlier this year, Mattel’s DC Super Hero Girls, a line of action figures, won the coveted Toy of the Year award from the Toy Industry Association.